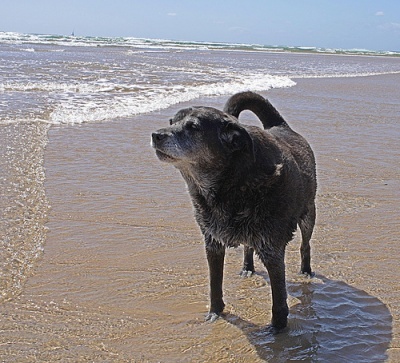 The Pet Wiki > Pet Health > Viyo Veterinary: Getting pets back in shape was never this easy. February 20, 2012 Comments Off on Viyo Veterinary: Getting pets back in shape was never this easy. Viyo Veterinary: developed by VETS for VETS, is the first product ever that provides cats and dogs with all essential nutrients in just one highly palatable drink. Market research in the US and Europe shows that Viyo Veterinary facilitates Fluent Recuperation in no less then 9 indications and can help 43% of all patients get back in shape fast. Viyo Veterinary will soon be available in the USA. 8 years of research and development at the Viyo Laboratories have resulted in the unique composition of the tastiest, 100% natural, low calorie drink that stimulates water intake and that contains all essential nutrients, namely vitamins, minerals, fatty acids and amino acids such as Omega 6/3 and prebiotic fibres. Thanks to its unique liquid formulation, Viyo Veterinary guarantees an easy intake and consequently improves the uptake of all essential nutrients in the body. The combination of all these characteristics facilitate a fluent recuperation process for all cats and dogs. Viyo Veterinary is a strong new product that meets the highest palatability standards, a conclusion that was confirmed after a study executed by the world’s renown University of Ghent. 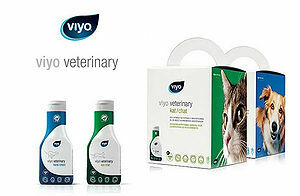 Not less than 85% of cats and even 95% of dogs take up Viyo Veterinary, which are exceptional results. 1. Pets that refuse to eat after surgery. 2. During the recuperation period pets have difficulties to start drinking or eating. 3. Pets that refuse to eat therapeutic diets. 4. When drugs are difficult to administer. 5. 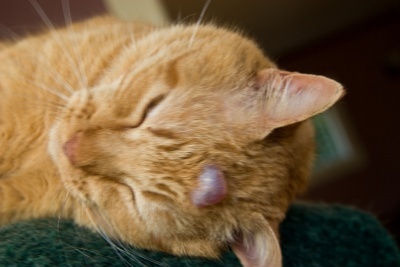 Pets that don’t drink enough and consequently risk to suffer from urinary stones. 6. When antibiotics cause gastro-intestinal disorders. 7. Products that support skin and coat are seldom complete nor palatable. 8. Newborns need extra support more than any other pet. 9. Weakened animals that need a health boost. In June 2009, Viyo International, the company behind Viyo Veterinary, started a test case in collaboration with 12 veterinarian clinics in the Miami area. These clinics are all using Viyo Veterinary and results from these tests confirm that Viyo Veterinary has a very high relevancy and potential. The case study showed that 80% of all vets are interested in using Viyo Veterinary for their clients. The research also showed that no less than 43% of all their patients could benefit from Viyo Veterinary’s revolutionary formula. Viyo Veterinary is showing great potential in an increasing market: the pet industry grew more than 8,5% since 2008 and anticipates nearly 6,2% growth again this year.